1 lb. of Fullblood Wagyu Beef. 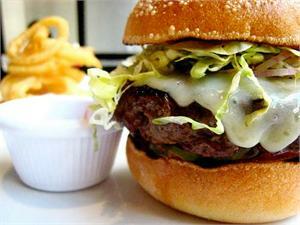 If you want the best Burger you have ever tasted try our Fullblood Wagyu Ground Beef. It is the ultimate ground beef, guaranteed to be the juiciest most succulent burger you have ever had! Our custom grind includes round steak and sirloin tip steak plus other premium cuts. Great for burgers, meat sauces or any other recipe that requires ground beef.